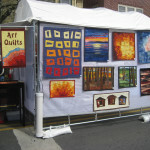 I was honore d to be selected as the Featured Artist for the Lewisburg Festival of the Arts this past Saturday, April 25. Lewisburg, PA is a small rural town in central Pennsylvania about 10 miles from where I live. The community is home to Bucknell University and a thriving college town. 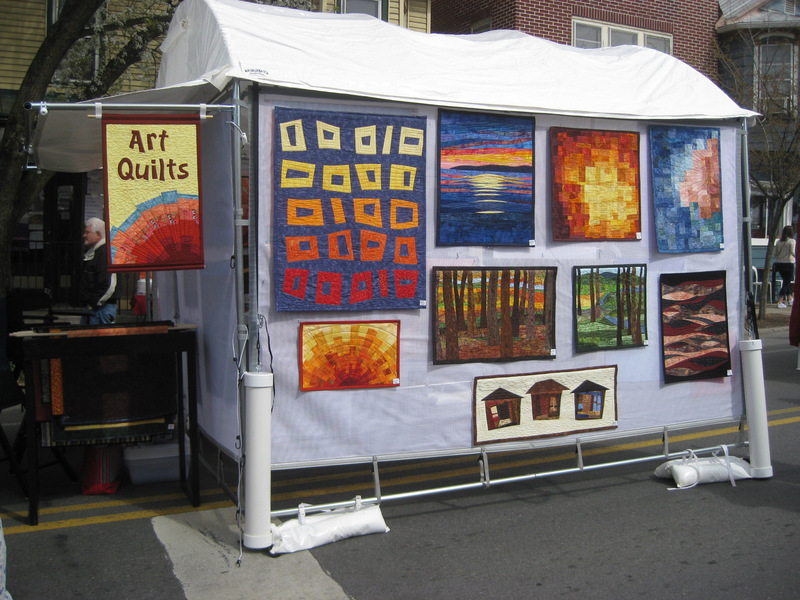 Lewisburg started their one day street arts festival many years ago, before festivals were so prolific. We have been attenders for many decades. It is fun now to be a vendor and artist! Saturday was a fabulous day with an awesome crowd. I think the terrible weather of the previous five days prompted everyone to enjoy a day outside at a wonderful community event. In addition to the one day festival, I have my first ever gallery show at Faustina’s Gallery at 229 Market Street, Lewisburg, PA from April 11 through May 2nd. 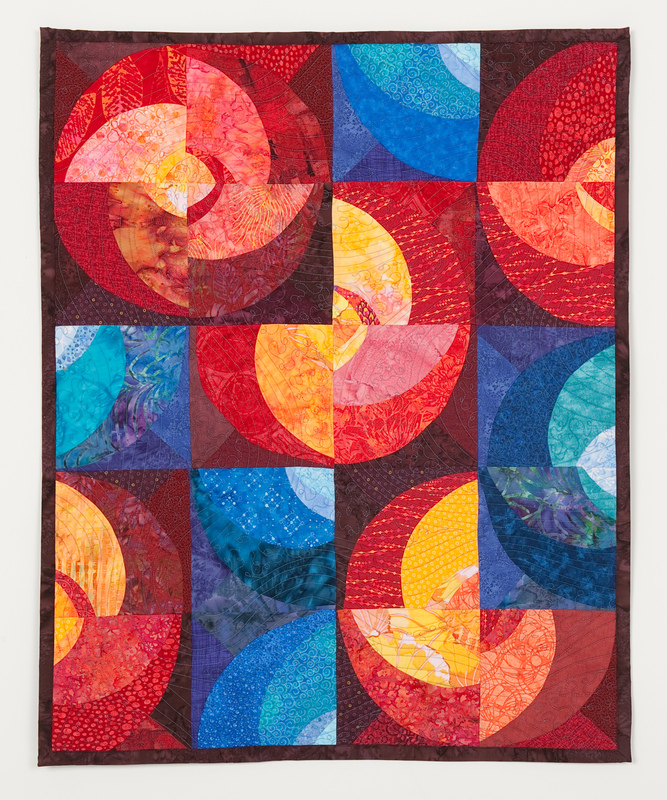 There will be a reception from 1-4pm on Saturday April 11th open to the public. This is all very exciting! I am also leading a workshop about contemporary quilting at the Public Library for Union County in Lewisburg, PA on Monday evening, April 27th at 6:30pm.